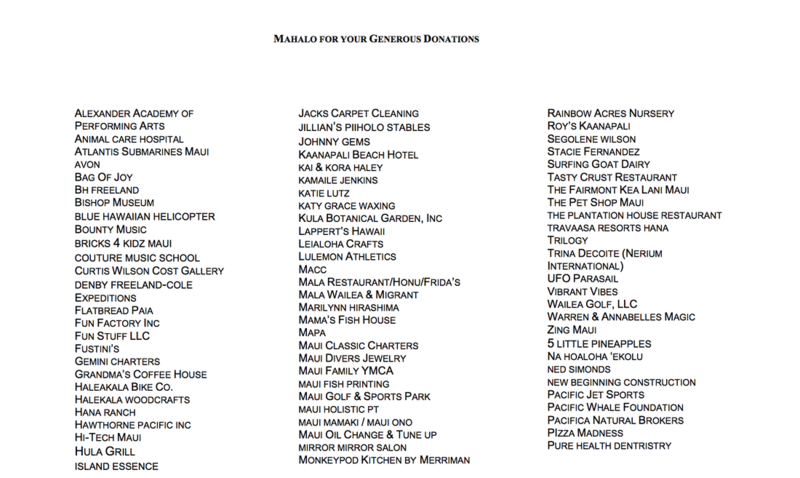 Mahalo Nui Loa to the many Donors who make the Kula School PTA possible! 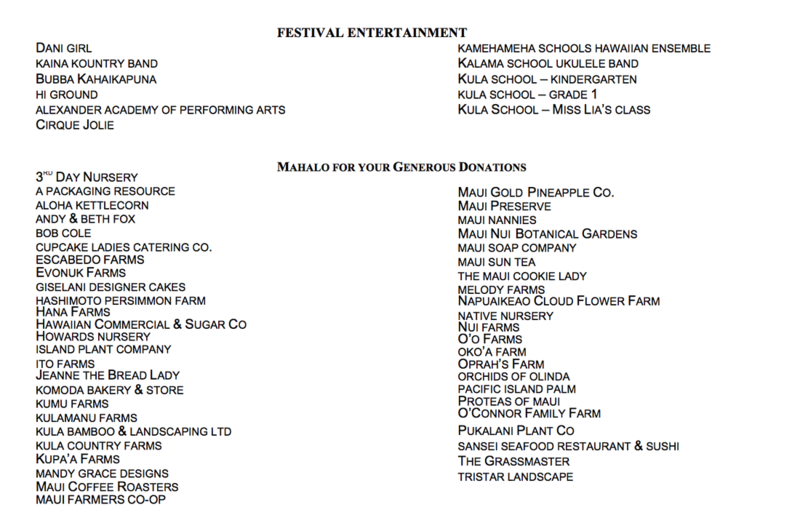 If you know of any Kula School PTA sponsors or supporters that are not listed here, please let us know via email. 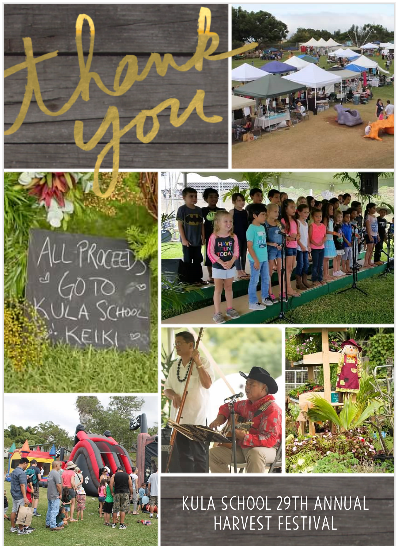 With tremendous gratitude, KULA ELEMENTARY SCHOOL PTA, and 2016 HARVEST FESTIVAL COMMITTEE, STUDENTS and TEACHERS, would like to thank the following Individuals, Companies, and Community Friends of Kula School for your generous donations, sponsorships and most of all dedication to helping the children of our school. Many thanks to all the VOLUNTEERS who gave countless hours of their time. Because of your selfless giving, our Harvest Festival once again was a great success! ☆ Ryan Souza Insurance Co. 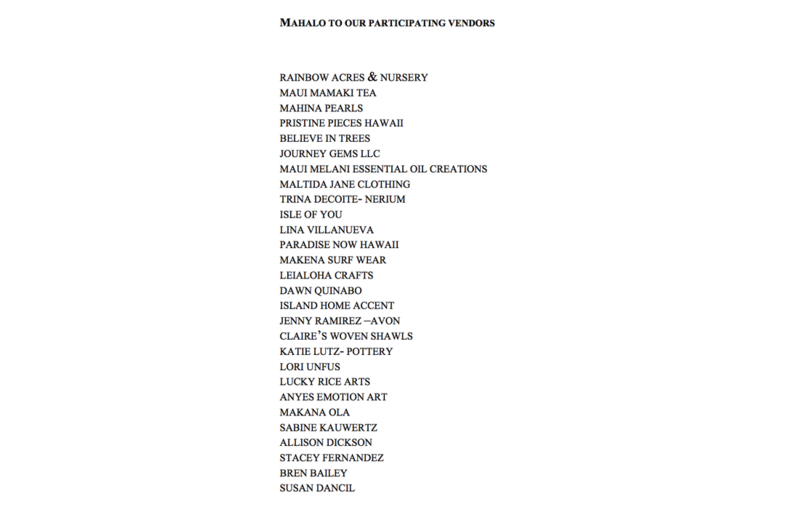 Please donate goods and services to the Harvest Festival Silent Auction. Ask businesses where you regularly shop to donate, as well as friends and family members with special talents or businesses. 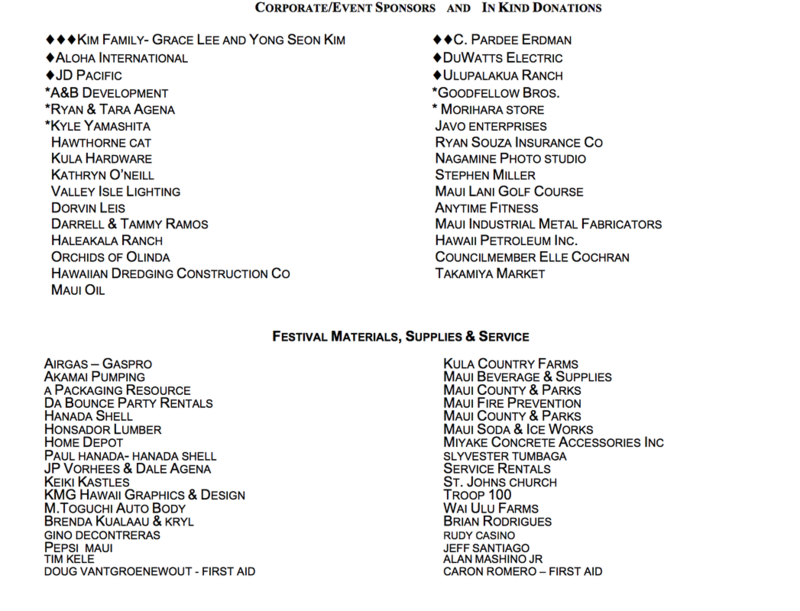 To donate, complete our donation form and email or USPS mail it to Kula School PTA.